[0:00] <shiftplusone> ah... the downside of buildroot... you end up rebuilding everything quite often... and it takes.... a while. [0:09] <shiftplusone> Phosie, welcome back. [0:12] <Phosie> I've been putting off reinstalling because of just how terrible my internet is at the moment. [0:14] <shiftplusone> pksato, that blog iss awesome. [0:18] <shiftplusone> Phosie, if you don't have the download speed, why not stick to openelec for now? [0:22] <Phosie> That's going to be fun. [0:23] <Phosie> I'm surprised I managed to get some blades from China, I expected customs to take them. [0:23] <shiftplusone> and I'll be coming back with all of that plus an oscilloscope and a bench power supply.... agh. [0:25] <shiftplusone> They're quite affordable nowadays. [0:25] <shiftplusone> Or get whatever the local uni throws away. [0:27] <shiftplusone> Payo, well, I do have about 5 pis and 3 Babbages in there to confuse them a little bit. [0:30] <Phosie> I think if it was locked they may let you unlock it, but if it was a sealed bag i think they'd cut it. [0:31] <shiftplusone> I haven't seen them scan the checked in luggage, so I assume that happens at some point later. Anyway... we'll find out... for science. [0:32] <Phosie> It reminds me of a video I saw where someone got a ticket on his bike, for science. [0:32] <Phosie> Riding his motorbike in the cycle lane, because the paperwork says it's a bicycle or something like that. [0:33] <Phosie> Just to see what the cop would do. [0:33] <shiftplusone> was that by SvenGalie? [0:34] <shiftplusone> follow m13 by any chance? [0:34] <shiftplusone> ah well.... another motovlogger who has had some misfortune lately. [0:35] <Phosie> Oh wow, I cannot watch videos and download Raspbmc at the same time. [0:36] <shiftplusone> Do you ride as well? [0:36] <Phosie> I want to but I have nowhere to keep a bike. [0:36] <Phosie> That and I'm afraid of getting killed. [0:37] <shiftplusone> There's always that. [0:37] <Phosie> It's mostly not having anywhere to keep it really. [0:40] <shiftplusone> I've moved countries recently and am wondering whether to get a bike again. On one hand... they're awesome. On the other hand, the roads here are boring, everything is within walking distance and I don't want to be run over by a bus any time soon either. [0:42] <shiftplusone> Phosie, near mountains? [0:44] <shiftplusone> they normally like twisty roads, which are generally near mountains. Or is it just scenery there? [0:57] <shiftplusone> oh, I thought that raspbmc was for a pi 2. Figured that's why you've returned. [0:57] <shiftplusone> seitensei, any plans for it? [1:01] <shiftplusone> usb or camera module? [1:01] <shiftplusone> ah... those don't seem to work too well. [1:05] <shiftplusone> seitensei, shouldn't really make much of a difference. [1:07] <PovAddict> isn't "Made in China" some sort of trademark, even? [1:09] <shiftplusone> seitensei, wouldn't most non-aboriginal taiwanese folk trace back to mainland China? [1:12] <shiftplusone> I propose we go find some land and establish Piland. [1:13] <shiftplusone> And the national animal too... somehow. [1:14] <shiftplusone> Well, it's all coming together. [1:15] <shiftplusone> I can be the supreme ruler. Anyone caught with an odroid will be.... no, I'm getting carried away. [1:16] <shiftplusone> can it just be dial up noises? [1:19] <Phosie> It cuts out midway because someone used the phone. [1:27] <Phosie> Aww that cat's adorable. [1:35] <seitensei> Do you like it? [1:36] <shiftplusone> What kind of sound? [1:36] <seitensei> graybis: Is the Elements plugged into an external power source? [1:37] <graybis> It's not required to use an external power source, I can plug it directly like I would do on a PC? right? [1:41] <Phosie> shiftplusone: They're cool! [1:42] <shiftplusone> Yeah, but her parents aren't the type to guide her through using them, so I'm not sure if it's a stupid gift. Well, there's always babbage to fall back on... can't go wrong there. [1:50] <shiftplusone> I'm personally not a fan of kano, though I guess their OS might be a good starting point. [1:53] <Phosie> Can it be installed to usb? [1:54] <seitensei> Phosie: Are you using a B+/B? [1:54] <shiftplusone> don't think so. it's just a tiny xbmc OS, so you don't really need to. [1:55] <Phosie> nah I'll just reinstall. [2:17] <seitensei> what's 1 + 1? [2:17] <Arbition> So rPi 2, with the USB issues in v1, have they been addressed? [2:17] <seitensei> Arbition: Which USB issues are you referring to? [2:17] <shiftplusone> Arbition, it's still the same core, but the faster CPU handles it better. [2:18] <shiftplusone> so I wouldn't say it has been addressed... just improved to the point where most people don't need to worry about it. [2:20] <shiftplusone> Arbition, what sort of devices do you intend to use? [2:21] <shiftplusone> I haven't had problems with those sorts of thing in a long time. [2:21] <shiftplusone> yeah, you should be fine. [2:23] <shiftplusone> maybe someone a little more unbiased than me might weight in with their experience with those things. [2:35] <Phosie> What is Kodi anyway? [2:36] <shiftplusone> Phosie, what xbmc was renamed to. [2:36] <shiftplusone> and if you don't know what that it is, it's the home theatre application. [2:41] <shiftplusone> I understand that the lights are necessary as 'everything is okay' indicators, but I'd rather we just had 'everything is NOT okay' indicators instead. [2:43] <shiftplusone> brb... I'll go to pi towers and steal some office supplies... from myself. [2:43] <chipmadness> Anyone here have the Pi 2? [2:43] <chipmadness> ozzzy what distro you running? [2:43] <chipmadness> have you tried ubuntu core? [2:44] <shiftplusone> chipmadness, I've read that the ubuntu image is somewhat alpha right now. [2:44] <shiftplusone> haven't tried it myself though. [2:44] <seitensei> chipmadness: are you developing anything for Windows? [2:46] <seitensei> I'd disagree with that, actually. [2:47] <chipmadness> seitensei are you planning to develop windows apps when Windows 10 ARM is released? [2:47] <ali1234> why do you think ubuntu closed bug 1? [2:48] <seitensei> chipmadness: I dunno, dude. Android is pretty swell when you consider the alternatives. [2:56] <PovAddict> well there is a unix subsystem over the NT kernel, isn't there? [3:03] <ozzzy> code for browsers? [3:08] <seitensei> Triffid_Hunter: Do you fix it though? [3:15] <chipmadness> anyone know of one? [3:23] <bandroidx> hi, if i have a problem with watchdog on rasbian on raspberry pi, will killall watchdog stop it? [3:25] <PovAddict> bandroidx: how did you configure it? [3:29] <bandroidx> i think i got it! [3:30] <shaun413> anyone get a 2 yet? [3:32] <bandroidx> perhaps i could try rmmod ? [3:32] <shaun413> has anoyne gotten a 2 yet? [3:33] <bandroidx> is that the correct proc file for rpi? [3:36] <SeeThruHead> i've got a question, would it be possible to connect an analog stick directly to the pi without an intermediate interface? [3:37] * amigojapan had a Sheldon, from the big bang theory dream, whcih was really funny, I took a note of the whole dream…. [3:52] <bandroidx> as in fake the singal? [3:54] <Phosie> "kodi pre start process terminated with status 1"
[3:56] <phire> stop the actual hardware watchdog? [3:59] <phire> ali1234, without opening the /dev/watchdog file? [4:00] <bandroidx> perhaps the watchdog service is also to blame? [4:01] <bandroidx> phire: any idea how to short circuit the entire thing with a single command? [4:02] <ali1234> does a watchdog initiated reboot... disable the watchdog? [4:03] <phire> bandroidx, can you edit the sd card on a computer? [4:03] <ali1234> maybe the problem isn't the watchdog at all? [4:04] <ali1234> bandroidx: the problem started right after you "added a ping" - what exactly does that mean? [4:05] <ali1234> watchdog daemon loads the module? [4:06] <bandroidx> so perhaps i just need to delete /etc/watchdog.conf ? [4:07] <bandroidx> but wont the module still cause it to reboot without a ping from the daemon? [4:07] <phire> something like /etc/rc*/? [4:30] <shiftplusone> ali1234, any video of it in action? [4:45] <shiftplusone> Phosie, oh, nice. [4:46] <shiftplusone> decent frame rate and resolution? [4:50] <shaun413> should I get a rpi2? [4:51] <PovAddict> where do you live? [5:26] <bandroidx> ali1234: got it! [5:48] <shiftplusone> ali1234, I'm off to catch a plane, but looking forward to seeing it later. [6:58] <agent_white> Two raspberry pi's. One with a little screen. No internet access besides IRC. What do for a project? [7:17] <Naphidia> how can i bring both wifi adaptors up at the same time? [8:29] <Mr_Sheesh> Maybe put the logs into an external USB HDD? [8:35] <turtlehat> heys guys, in lxde, if a dropdown menu goes offscreen because its very long, why doesnt it scroll when the menu cursor goes offscreen? [8:35] <turtlehat> is there a way to set that? [8:51] <Akiraa> can you get breakout boards for the individual r-pi components? [11:30] <shiftplusone> ali1234, the folks at pi towers love it, want to do a blog about it and make sure future software updates preserve that functionality. [11:52] <ShorTie> I can see again, lol. [13:34] <Saphyel> best website about raspberry pi? [13:36] <leio> ARM measures bogomips very differently. [13:36] <ShorTie> tisn't that a linux thingy ?? [13:37] <leio> Linux ARM architecture code udelay implementation. [14:31] <Hix> shiftplusone you about for a tar quick Q? [15:29] <grumbel> Does anybody have some working example code for OpenGL-ES2 via SDL2? [15:31] <Sonny_Jim> grumbel: What configure options did you use? [15:33] <grumbel> Sonny_Jim: does OpenGL work for you? [15:34] <grumbel> I do you have any pointers to example code that should work? [15:39] <blib> Bilby: Beaglebone black is still faster on integers! [15:43] <blib> Bilby: why didn't pi 2 try to beat odroid/beaglebone in performance? [15:52] <blib> Bilby: odroid c1 was released earlier, at the same price point, and is faster? [16:04] <mwuk> Odroid is different ARM arch is it not? [16:05] <Armand> Odroid use Samsung Exynos. [16:05] <mwuk> but even then UK assembly costs more than China etc. [16:05] <Sonny_Jim> Pi's are 'assembled' in the UK? [16:06] <Sonny_Jim> I thought they got the bulk done in China, then like soldered on the ethernet port so they could get the subsidy from the government? [16:06] <niston> "Raspberry Pi 2 Model B (1000 MHz)*"
[16:07] <niston> whats the point in benchmarking an OC'd Pi2 against a non-oc'd Pi? [16:08] <Lausi> The numbers look more impressive. [16:09] <niston> impressive and pointless. just like the fuel consumption of a VW XL1 electric car! [16:10] <niston> Noltari: well but why not OC the Pi1 to 1000Mhz then? [16:10] <Noltari> isn't 1Ghz much fo Pi1 without any cooler? [16:14] <blib> http://www.amazon.com/Tobestronger-WXD3-13-Multi-Wirewound-Potentiometers/dp/B00N8LGNX6 - is there a better place to buy these in the us? [17:20] <SpeedEvil> What power suply are you using? [17:23] <PovAddict> do you have firmware-ralink installed? [17:23] <Sasha> firmware-ralink is already the newest version. [17:25] <Sonny_Jim> Have you unplugged/replugged after installing the firmware? [17:26] <Sasha> I've rebooted but not unplugged it - does it change anything? [17:26] <Sonny_Jim> What does dmesg look like when you plug it in? [17:35] <blib> what's the best way to debug the serial port connection? I've a controller that I'm sending serial commands to, no output. [19:14] <Bilby> PovAddict I hear that a lot of the time the majority cost of electronics in SA is shipping. It's a shame. Some of the DIY stuff I've seen from Argentina and Brazil is so dang creative. [19:30] <woox2k> does raspbian have any safety measures builtin that cleanly shut the device down if something occurs? [19:31] <Bilby> I don't think so, besides something causing a kernel panic. Are you supplying enough current to the Pi? 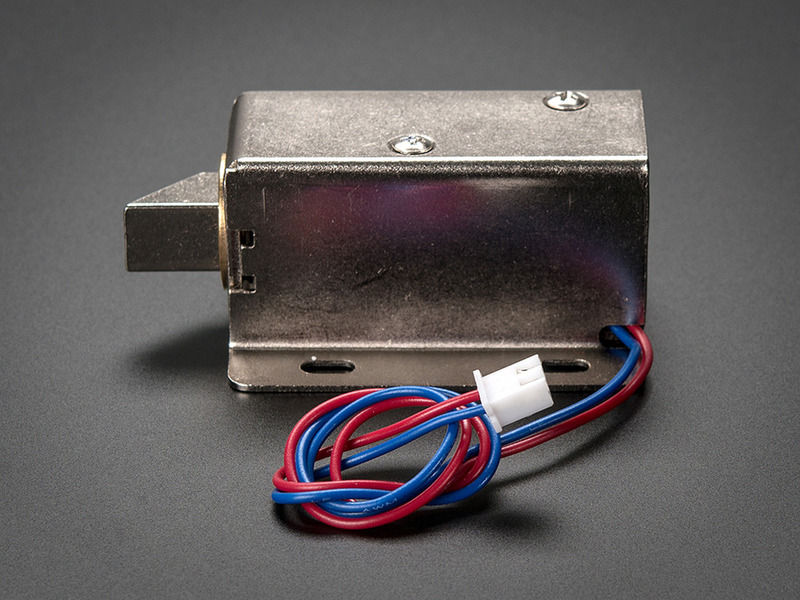 [19:31] <ecstaticpessimst> Does anyone know the name of a switch which looks like this https://imgur.com/cJMgAo0 kind of like a limit switch except the trigger is small triangular wire? [19:37] <Sonny_Jim> You didn't 3-finger salute by accident? [19:39] <Sonny_Jim> Is there a keyboard plugged into it locally? [19:41] <Sonny_Jim> cron job gone wonky? [19:50] <Sonny_Jim> What is your temp_limit set to? [19:52] <woox2k> how do i check it? [19:53] <benighted> Yay! 2x Pi 2 showed up today.... What should I do... Maybe a docker cluster? [19:55] <woox2k> does it mean 85.000? [19:58] <benighted> hey chief, what up? [19:58] <Sonny_Jim> You haven't got anything funky plugged into the USB? [20:42] <Sonny_Jim> None of those? [20:46] <Veryevil> is there no specs for making HATs? [20:47] <Sonny_Jim> Human African Trypanosomiasis? [20:48] <Sonny_Jim> Just curious, what's the acronym? [20:51] <Amnesia> hi, question is anyone over here familiar with qemu 2.x and the emulation of rpi's ? [20:57] <BigShip> do any of you use your RPi for home automation? [21:09] <benighted> BigShip, any projects interest you? [21:10] <Amnesia> is no one over here emulating arm1176 on his/her computer:)? [21:10] <meowrobot> it'd be very space efficient. [21:34] <Encapsulation> is the rpi2 actually going to ever be available to purchase in the USA for 35 dollars like it should be? [21:39] <Roxxor91> Hey! I downloaded a minimal raspbian image and equipped it with my favorite set of packages. I now have the standard boot partition and a 900MB ext4 partition. How can I now create a image out of those 2 partitions? By googling I could just find commands for creation of an image of the whole sd card, which would be to big. [21:41] <Amnesia> seitensei: got any experience with the fork? [21:42] * Amnesia is quite surprised theres so little people that want to emulate an rpi..
[21:42] <Roxxor91> Sonny Jim: well gzip doesnt really help as the unpacked image is still 8GB (size of the sd card). I would need dd to directly create the image just of the first two partitions. Is this somehow possible? [21:51] <H__> can we choose low or high initialization for GPIO.setup(pin, GPIO.OUT) ? [21:54] <H__> Bilby: thanks. do you perhaps also have any documentation pointers on that ? [21:56] <H__> Bilby: I'm driving a relais, I need it to start 'low'. Perhaps I should use a pull-down resistor ? [21:56] <Bilby> maaaybe. or a logic inverter? [21:58] <Lobosque> guys, I bought this touchscreen https://www.adafruit.com/products/2354 and this decoder https://www.adafruit.com/products/2219 . I get a white screen connecting my Pi. Pi works fine with my monitor and touchscreen works fine with my computer. so they are both OK but not working well together. any thoughts on how to fix this? [22:01] <H__> ah, trying that ! [22:08] <pksato> H__: set pin to low before set it as output. [22:09] <ozzzy> does tightvnc send the entire desktop every update or just what's changed? [22:10] <phire> "we prefer the more PC term 'design issue'"
[22:11] <pksato> H__: python ? [22:12] <phire> is mp3 encoding a single threadded task? [22:13] <ali1234> "All GPIOs revert to general-purpose inputs on power-on reset. The default pull states are also applied, which are detailed in the alternate function table in the ARM peripherals datasheet. Most GPIOs have a default pull applied." [22:14] <dli> how to use all 1GB of pi2, instead of 750MB ? [22:15] <pksato> H__: you set initial output state of pin on setup, with 3th parameter initial= . [22:16] <H__> pksato: that seems to work. however I get this : ./test4.py:18: RuntimeWarning: This channel is already in use, continuing anyway. Use GPIO.setwarnings(False) to disable warnings. [22:17] <pksato> H__: you cleanup pins on exit? even on error? [22:17] <H__> pksato: ah right, i did not. The end of my test program has "GPIO.cleanup()" but i quit()-ed out halfway ! [22:18] <H__> pksato: works perfectly now. thanks ! [22:29] <Sonny_Jim> How are you measuring that? [22:33] <pepijndevos> Wait, so the proper way to install wiringpi is to git clone the source? On Arch there is a package, but not or Raspbian?? [22:33] <TedTheTechie> What's the minimum voltage requirement for the Pi 2? [22:34] <TedTheTechie> How long do you assume a 50000mAh battery would run the Pi? [22:35] <pepijndevos> I had thought that messing with the GPIO is such a big part of what Raspi is about, that it would be included. [22:35] <pepijndevos> Or are people using different libraries for that? [22:36] <TedTheTechie> Sonny_Jim I'm aware, how long should a "50000mAh" battery last though? [22:37] <H__> phire: with 5v the minimum do you know what is max ? and what is advised ? [22:38] <pepijndevos> Sonny_Jim, I want something in C that's fast and usable. WiringPi seems to fit the bill, it's just weird there is no package for it. [22:39] <Sonny_Jim> What do you plan to use the GPIO for? [22:40] <ali1234> Sonny_Jim: what do you want for $1? [22:40] <TedTheTechie> Question, working on a mobile computer with pi 2. Should I use a 7 inch non touchscreen with a keyboard and mouse, or 4 inch touchscreen? [22:43] <Lobosque> how do I configure epiphany to start in fullscreen mode? [22:43] <TedTheTechie> 'Sonny_Jim, Should I go 4 inch screen with touch or 7 inch without touch? [22:47] <ali1234> TedTheTechie: so what kind of battery do you have? [22:54] <TedTheTechie> Those good or bad? [22:57] <ali1234> TedTheTechie: you can buy the case/circuits and add your own 18650s... search for "DIY USB power bank"
[22:57] <ali1234> and then search for "laptop battery job lot"
[23:01] <TedTheTechie> ali1234 18650 is bad right? [23:01] <TedTheTechie> like not such a good battery ? [23:02] <ali1234> it's like saying "AA is bad"
[23:17] <benighted> Is the newest NOOBS rpi 2 compatible? [23:27] <diffra> the SoC that the pis use is rated for pretty high temps, so what you may consider hot is just normal operating parameters. [23:30] <dli> diffra, thanks, I will try again. [23:32] <phire> "/dev/null uses VFP register arguments, /tmp/ccTwrMey.o does not"
[23:44] <Tenkawa> so... whats the reports on the quad pi so far? good/bad/indifferent? [23:53] <Tenkawa> thanks for the info..
[23:53] <seitensei> Anyone good with calculus/math? [23:58] <phire> I occasionally find my self needing to solve massive simultaneous equations at work.